You only have to look at the vending machines for charity that sit side by side in schools, malls, and superstores to see that the war between Coke and Pepsi is very much alive and well. it is a battle that has raged for longer than most of us can remember, with many people thinking that both sides have gone a little too far in the name of corporate greed. The reality is that there is more than enough room on the block for both, with the majority of people choosing a side based on taste rather than some forgettable celebrity endorsement. There are many people out there that have become more than a little jaded with this ongoing fight for dominance, but the Coca-Cola company has just implemented something on their vending machines that is sure to make people see them in a much better light. 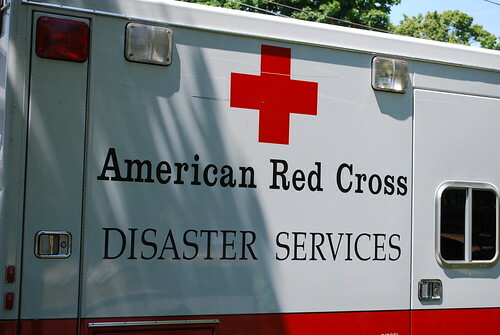 What they have done has enabled some of their machines to be able to accept charitable donations on behalf of the American Red Cross. Before everyone automatically jumps up in anger and assumes that Coke is somehow guilting you into buying, it’s worth noting that you can in fact leave a donation without purchasing a coke product. At the moment the machines are only available in the metro Atlanta area, but if all goes well, it would appear that the charitable possibilities are endless. The way the machines work is pretty straightforward. Once you have made your purchase you will be given the option to donate an amount of your choice via debit or credit card. As we already mentioned, you can also just choose to make a straight donation via the vending machine, even if you choose to buy a soda from the Pepsi machine next door. What this does is give people an easy way to donate to a worthwhile charity, no matter which side of the soda war they sit on. This is all about a company setting aside the business of sales and marketing for a minute to focus on what’s really important in the world Yes, there are likely to be those that remain skeptical and believe that Coca-Cola are doing this for their own selfish needs, but that would be a cynical approach that is most likely very far from the truth. Vending machines have long been used to bring convenience to the consumer, and this charitable enterprise is just one way that the people can say thank you for the service that is being provided. By that, we don’t mean the service of the good people at Coke, but the ones delivered by the caring souls at the American Red Cross. How great would our world be if the help they provided was available to all for free via a vending machine. Alas it’s not, so we urge you to support them by making a donation at one of the Atlanta malls were the charitable vending machines are housed.